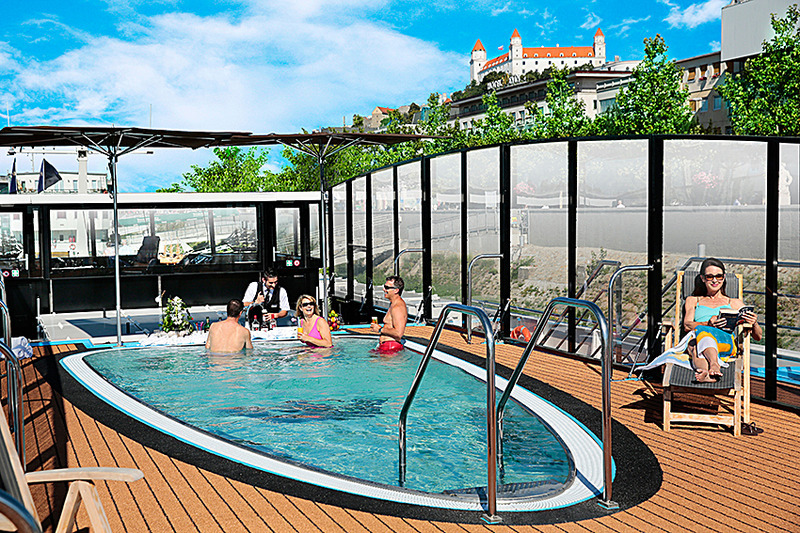 The AmaStella is a sister ship to the AmaSerena and features the most advanced design of any river cruise vessel currently in operation. 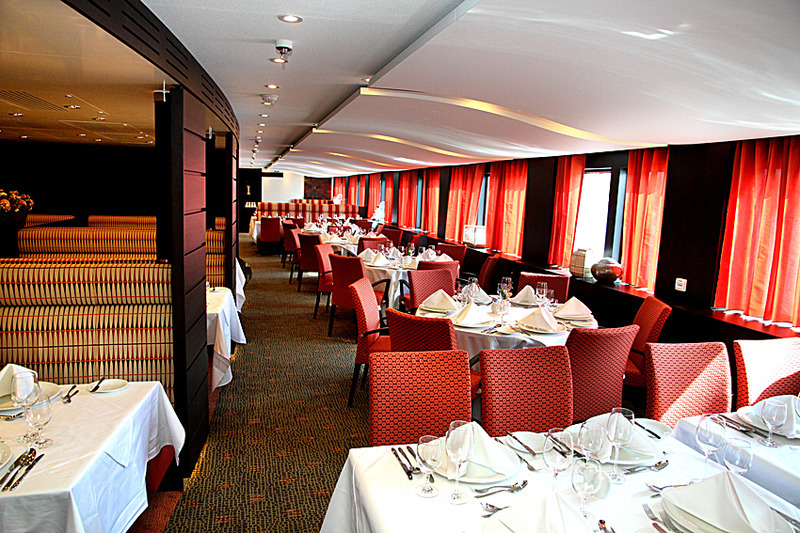 Our exclusive Twin Balconies are available in most staterooms, which measure a spacious 210-235 sq. feet, with four suites measuring 350 sq. feet. Passengers will enjoy gourmet dining with free-flowing fine wines at multiple onboard dining venues; a heated sun deck swimming pool with a ‘swim-up’ bar; fitness center and spa; complimentary ship-wide Wi-Fi and in-room Internet and entertainment on demand; and a fleet of bicycles carried onboard for passengers to enjoy on their own or on guided bike tours. 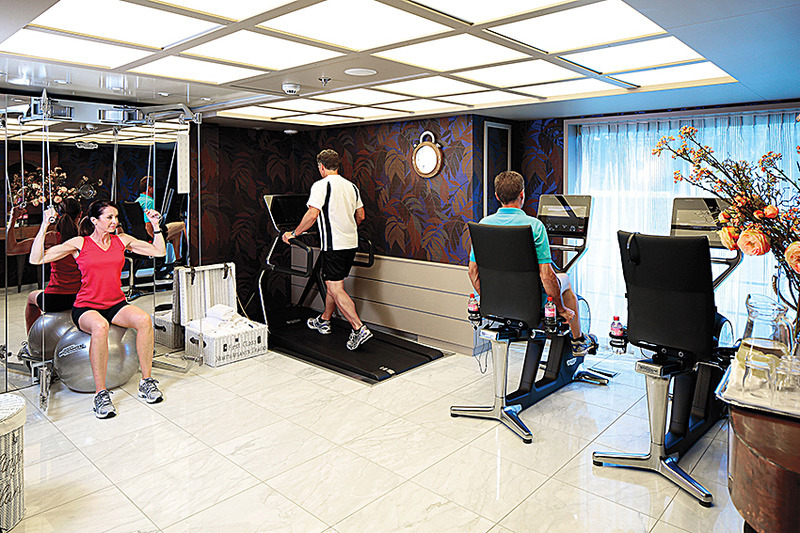 With fewer guests on board, we have space for luxurious amenities. Relax with a massage after a day of exploring, stay in shape with our fitness room and watch castles go by while enjoying a cocktail and taking a dip in our sun deck pool with a swim-up bar. AmaWaterways was invited to be a member of La Chaîne des Rôtisseurs – a prestigious international culinary society – and with good reason. Our expert chefs craft menus that feature exquisite, locally-inspired cuisine as well as traditional Western offerings. 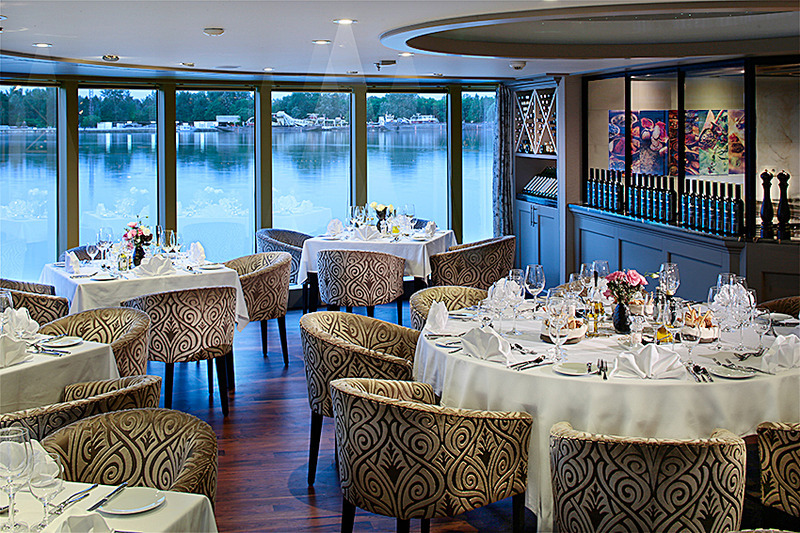 We are the only river cruise line that has The Chef’s Table, an intimate specialty restaurant where you can watch the chef prepare a lavish dinner right in front of you. Each meal is specially paired with premium local reds and whites from Europe’s renowned wine regions, with new selections each night. There’s also sparkling wine and fresh juice with breakfast, menu service during lunch, as well as delicious tapas and snacks in the Main Lounge between meals. All onboard dining, as well as unlimited wine and beer with lunch and dinner, is included so you can indulge whenever and however you’d like. Whether it’s traditional Bavarian music, a local quartet or contemporary piano favorites, you will enjoy an eclectic schedule of onboard entertainment every night.